Bratislava, December 12 (TASR) – Slovakia is due to buy 14 new F-16 Block 70/72 fighter jets, with a related contract ceremonially signed on Wednesday by Slovak Defence Minister Peter Gajdos (Slovak National Party/SNS) and Lockheed Martin vice-president Ana Wugofski. With all the aircraft due to be delivered by 2023, the €1.6-billion contract also includes weaponry, logistics support and training for aviation and ground personnel. The move was greenlighted by the Cabinet earlier in the day. 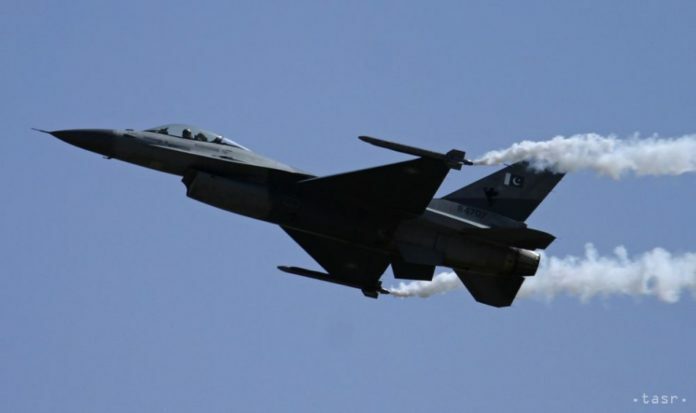 “Slovakia is due to stop protecting its air space with MiG-29 aircraft and will buy the latest version of the F-16 aircraft,” said Prime Minister Peter Pellegrini (Smer-SD), adding that 12 jets will be one-seaters, while two aircraft, due to be used for training, will have two seats. “Slovakia has thus confirmed its commitment to increase its military spending to 2 percent of GDP,” said Pellegrini, adding that this should be understood as a clear signal that Slovakia is firmly embedded in NATO and the EU. Gajdos stressed that the purchase of new fighter jets will make Slovakia fully compatible with other EU and NATO-member states. The US producer is due to deliver four F-16 aircraft by 2022, while the rest should be handed over in 2023. Opposition party OLaNO later in the day stated that it “respects” the signing of a deal between the Slovak Government and Lockheed Martin on the delivery of 14 new F-16 fighter jets, but it said that the contract could have been cheaper than €1.6 billion, even to the tune of several hundreds of millions. The party’s security expert Jaroslav Nad said that OLaNO now expects that the Government will now do everything possible to “get rid” of the Russian jets MiG-29 as soon as possible. Nad further recommended that the Government should ensure the protection of Slovakia’s airspace without Russia’s involvement – and without what he described as kickbacks for companies close to the governing coalition – even before the American jets are delivered (in 2022-23).